Feiwel & Friends, 9781250091697, 32pp. Elisabeth Weinberg is a graduate of the French Culinary Institute, an executive chef, and owner of Miss Elisabeth's Catering in New York City. She is also a Food Network "Chopped Champion." With her husband Matt Stine, Elisabeth is the author of the children's book Little Chef, illustrated by Paige Keiser. Paige Keiser is an award-winning children's book artist who has illustrated Little Chef and Mia Moves Out. 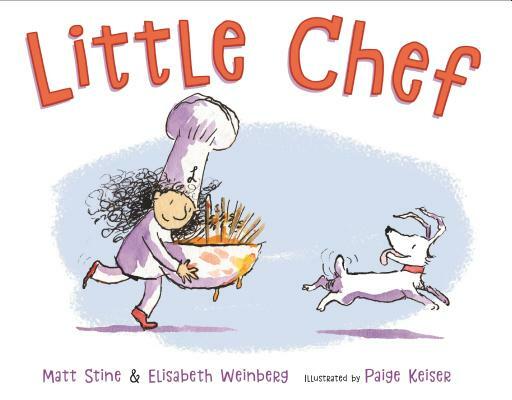 Matt Stine, along with his wife, Elizabeth, is the author of the children's book Little Chef, illustrated by Paige Keiser.